Chances are you’ve heard about the declining numbers of honey bees and the consequences this could have on the environment. But did you know there are things you can do to help? 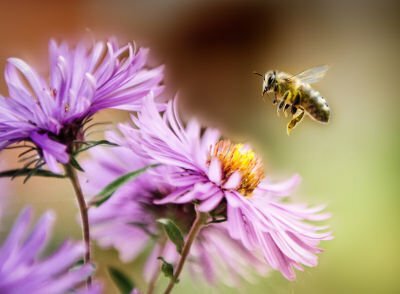 By planting bee-friendly plants and using some simple landscaping techniques, you can use your backyard landscaping projects as a tool for environmental good. Almond Verbena: An evergreen flowering shrub that produces white, almond-scented flowers in spring and summer. Almond verbena is very popular with bees and humans alike, and grows well in Texas. Sweet Acacia: A small evergreen tree with low water requirements and fragrant yellow ball-shaped flowers that bloom in the spring. Gulf Coast Penstemon: This Texas native plant produces tall shoots of pink or purple bell-shaped flowers that bees love. These are adaptable flowers and will reseed on their own, which makes them perfect for a growing garden. Flame Acanthus: The perfect shrub for Texas gardens, the Flame Acanthus is a heat- and drought-tolerant plant that produces a brilliant show of red-orange flowers throughout the summer and fall. Great for bees, hummingbirds, and butterflies. Mexican Mint Marigold: A reliable, native perennial with dainty yellow flowers that bees enjoy. Very heat-tolerant and drought-resistant. The leaves can also be used as an herb with a flavor similar to anise or tarragon. Salvia: There are many varieties of salvia, but all of them grow well in Texas and make good choices for a bee garden. They require very little water or maintenance and have a wide range of bloom colors to complement any garden. When planting your bee garden, keep in mind that bees prefer large patches of flowers as opposed to one or two plants. This is why shrubs and trees make especially good options for bee gardens, as their large number of flowers provide lots of food for hungry bees. 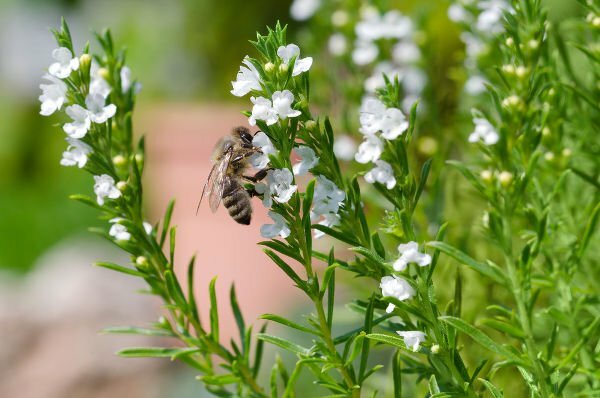 Along with planting bee-friendly plants, there are some other steps you can take to make your bee garden better for your bees and your neighborhood. Bees get thirsty just like people, especially in the Texas heat. Providing water, such as in a bird bath or ornamental pond, is a great way to help the bees thrive and keep them coming back to your yard or garden. Another way to keep the bees happy is to create some shaded spots in your yard alongside the bright, sunny areas. Shade plants like broadleaf trees and shrubs or a shade structure like a pergola or patio cover can give bees a refuge from the sun and make them more likely to return. One of the biggest mistakes you can make with a bee garden is spraying your plants with chemicals. While it’s obvious you want to avoid insecticides, you should also avoid using herbicide, fungicide, and many chemical fertilizers. All of these chemicals can have detrimental effects on bee populations. Instead, look for all-natural chemicals and methods for plant and pest control that won’t harm bees. Bees tend to fly in straight lines to and from their hive. If you want to avoid causing problems in your neighborhood, you can build a fence around your bee garden to increase the flight height of the bees. A six-foot vinyl privacy fence ensures the bees will generally fly above the heads of neighbors and passers-by, and it also helps keep pests and predators out of your garden. Most gardeners bristle at the sight of weeds taking over their gardens, but if you’re trying to promote bees the best thing you can do is let them grow. Weeds produce flowers and pollen just like other plants, making them an important food source for bees. While it might be difficult not to yank out dandelions and clover when you find them growing in your garden, the bees will thank you for it. If you’re looking for ideas on improving your yard or creating your own backyard paradise in Dallas, you’ve come to the right place. The experts at Future Outdoors can help you create the fence, deck, patio or pergola you’ve been dreaming of. Call 972-576-1600 today to schedule a free estimate for your project, or take a look at our Facebook page for more inspiration and ideas.